15.4" Corporate messenger laptop bag. 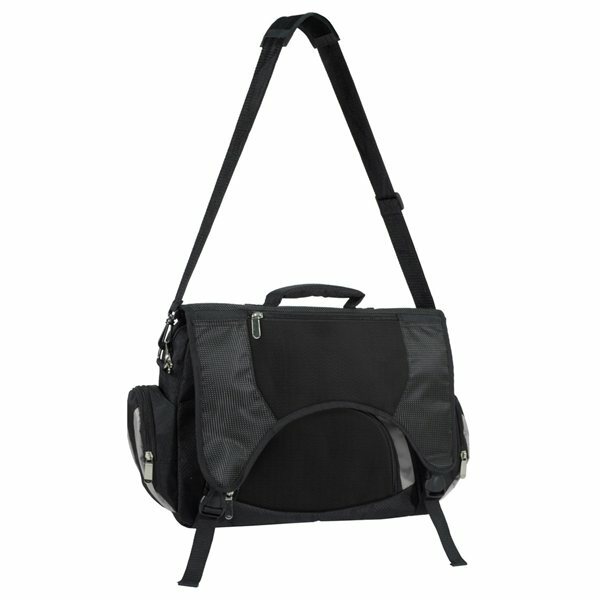 Features a dedicated padded laptop compartment and a section for file storage. Made from durable, high-performance nylon. these bags are great! Our church originally bought them for first-time visitor gifts and now we are using them for so much more to get our church name into the community. Although it's a small item, it's one that will leave a lasting impression on others. Met expectations. this product really fits my needs and also as a gift for my close friends. High quality for that cost, logo design was visable and crisp, good coloring. I WILL be ordering more. We imprinted our school logo design and saying and used it for a 6th grade promotion ceremony giveaway. thanks so much for carrying the item! I would recommend, Everything was more or less what I expected so I don't have any dislikes about the products. Exceeded my expectations! Very sharp and perfect for what I needed.